This is the time of year that Christmas Enthusiasts dream about for months on end - it's time to decorate for Christmas. Part of decorating for Christmas, of course, involves shopping for Christmas lights. And that can be fun, too. 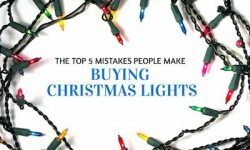 But that fun can be spoiled - or at least tainted a bit - when Christmas Enthusiasts make some common mistakes while shopping for their Christmas lights. The big-box stores - it's a temptation that's hard to resist, isn't it? For many products, there's no need to resist that temptation. The big-box stores can be great places for buying household staples such as paper towels, soap, cereal, car batteries, and a thousand other needs of modern life. There's no denying that big-box stores offer great prices on just about everything they sell. And that includes Christmas lights. But how are these mega-retailers able to offer such low prices? It's pretty simple: they buy cheap to sell cheap. LED lights, you see, aren't like paper towels or toilet paper. LED lights aren't all pretty much the same, regardless of price. In fact, there's a huge differential in quality between the top-quality manufacturers and the cut-rate manufacturers. As a result, the cheap lights that the big-box retailers purchase from low-end manufacturers - the lights that they resell to you - are of very poor quality. Yep, it does. Because those cheap lights won't be nearly as reliable or last nearly as long as better quality LED Christmas lights. And those cheap lights won't look as good, either. Many people don't realize that the cheaply manufactured lights aren't as crisp and brilliant in appearance as better-made lights. So in the end, what do you get for buying your Christmas lights from a big-box retailer? You get a brief feel-good moment in a checkout line. And then the reality of what you've purchased sets in. You're saddled with lights that won't last as long, or look as good as better quality lights. You'll also be replacing those lights quite soon. 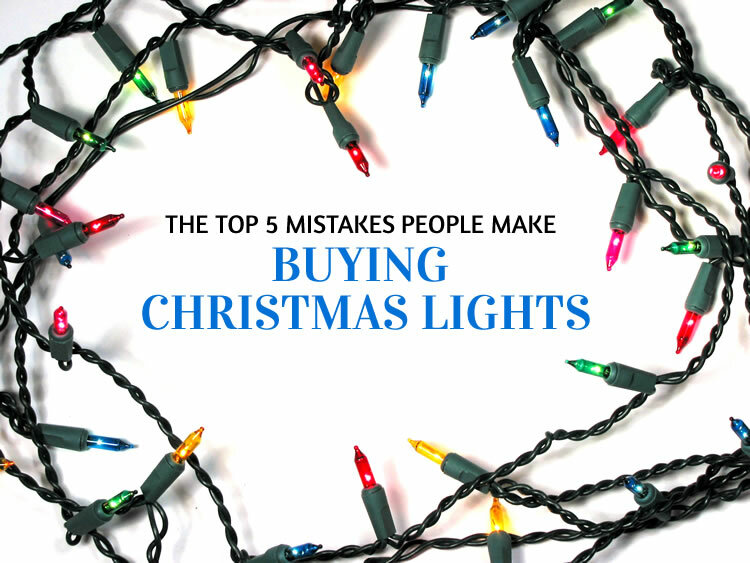 So in the long run, you'll spend a lot more money by purchasing those 'cheap' Christmas lights. 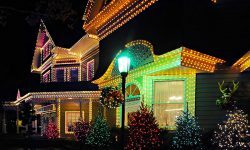 Buy your Christmas lights from a specialty retailer that focuses upon quality (yes, that would be us!). Buy your toilet paper and other staples of life from the big-box stores. And in the end, everybody will be happy. In the early days of LED technology there was a problem with white lights. Quite bluntly, they didn't look too good; they had sort of a bluish tinge. Those days are long gone. And so is that problem. But some people still avoid buying pure white LEDs because of the carryover from that old problem. No need for that, though. Buy whatever flavor of white you prefer - assuming that you're purchasing from a quality retailer. There can still be some issues with cheaply manufactured lights. 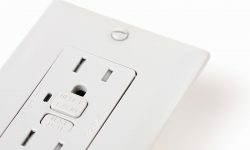 Modern LEDs, in fact, offer more choices for white than incandescents. Read-up on it here, and then buy whatever variety of white you feel will suit you the best. Do you know that you can make your own custom Christmas light lines? It's true. It's also easy and cost-effective. And it's the best way to decorate your home with the precision look of a professional job. But many Christmas Enthusiasts are stuck on ready-made stringer sets. So they end up with lots of light lines that aren't perfectly suited for their situation. And they miss out on the ability to customize light lines to provide whatever look they desire, and the ability to change that look at a whim. For most Christmas Enthusiasts in most situations, creating custom lines using retrofit bulbs is the preferable alternative to staying stuck on stringer sets. Christmas Enthusiasts, particularly newbies, often have grand plans for their home decorations. Often those plans are of - shall we say it? - Griswoldian proportions. But in most cases, it's better to work your way toward gradually achieving that grand vision, rather than trying to get there in one fell swoop. Trying to achieve your grand goal all at once can lead to busted budgets and lots of light-installation frustration. 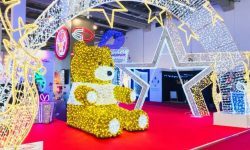 The better approach is to start with a basic display, and then expand upon that display each year. In just a few years you'll reach your goal (maybe - some Christmas Enthusiasts never stop embellishing their displays!). It's a budget-friendly, headache-free way to reach your ultimate Christmas decorating goals. 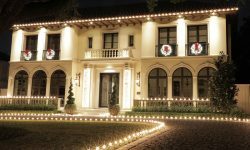 If you're just getting started, here are some tips for planning your Christmas lighting program. 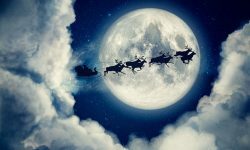 It's not unusual for us to receive some rather frantic, late-season calls from Christmas Enthusiasts. Those calls usually go something like this: "I don't know what happened, but I somehow came up short on (whatever product). I can't finish my display! Can you rush - and I do mean RUSH! - that to me?" If that happens to you, and it's your call we're taking, we will indeed do our best to rush you whatever you need. But wouldn't it be better to avoid getting into that situation to begin with? All you have to do is estimate what you'll need for this season's order, and then just pad that estimation a little bit. The worst that can happen is that you'll have a few spares on hand - which you'll use eventually. The best that can happen is that you'll avoid placing one of those frantic late-season phone calls! We like to think that most of our customers are a cut above the average Christmas Enthusiast. After all, they're smart enough to avoid mistake #1: the allure of the big-box stores - sometimes as a result of hard experience. But whether you're a long-time Christmas Designers' customer, or new to the family, we hope the tips above will help. After all, smart shoppers turn into happy customers. And that makes us happy, too!